N.K. Patil And Mrs. B.V. Nagarathna, JJ. “(i) Whether the appellate authorities were correct in holding that the assessee would have accumulated a sum of Rs. 30 lakhs year after year in cash from agriculture, which had been paid to the partners of M/s. Jayanth Service Station which came to be detected in the course of survey without there being any evidence to support the claim when the assessee was taking contrary stands in this regard and consequently recorded a perverse finding ? 2. The facts of the case in brief are, the assessee is an undivided Hindu family and partner in M/s. Jayanth Service Station, Chikkaballapur, authorised dealers in petroleum products for M/s. Indian Oil Corporation. The said firm came into existence on January 5, 2001. Be that as it may, there was a survey action on the firm under section 133A of the Income-tax Act on October 10, 2002. At that time, neither the assessee nor the partnership has been assessed to income-tax. During the survey proceedings, a receipt dated February 1, 2000 was found showing the payment of Rs. 30 lakhs by the assessee. Taking this aspect of the matter, the Assessing Officer has initiated the proceedings by issuing notices under section 142(1) calling upon the assessee to file returns for the assessment years 2000-01 and 2001-02. In response to the said notice, the assessee appeared through his representative and filed his returns. The explanation offered by the assessee in respect of Rs. 30 lakhs has not been accepted by the Assessing Officer and he has proceeded to pass the order of assessment treating a sum of Rs. 30 lakhs as unexplained investment under section 69 and brought the same to tax as income of the assessee by his order dated March 31, 2006. Assailing the correctness of the said order, the assessee had filed an appeal before the first appellate authority the Commissioner of Income-tax (Appeals)-IV, Bangalore, in I. T. A. No. 2/Kolar-CIT(A)-IV/2006-07. The first appellate authority, after hearing both sides and after considering the report submitted by the Assessing Officer and other relevant materials available on file, has allowed the said appeal by deleting the addition of Rs. 30 lakhs. 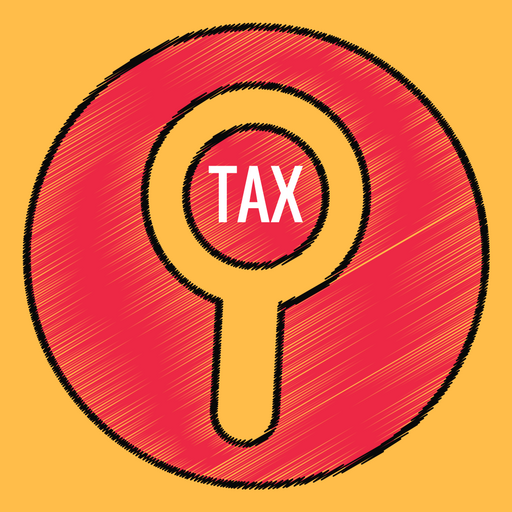 Being aggrieved by the order of the first appellate authority, the Revenue has filed an appeal before the Income-tax Appellate Tribunal, Bangalore Bench-B, Bangalore, (“Tribunal” for short) in I. T. A. No. 1016/Bang/2007. The said matter came up for consideration before the Tribunal. The Tribunal, in turn, after going through the orders passed by the authorities below, has dismissed the appeal and confirmed the order passed by the first appellate authority. Being aggrieved by the order passed by the Tribunal, the Revenue herein has presented this appeal, raising the aforesaid substantial questions of law along with other reliefs. 3. We have heard the learned counsel for the appellants Sri K. V. Aravind at considerable length of time. 4. After having heard the learned counsel for the appellants and after careful perusal of the orders passed by the Assessing Officer, first appellate authority and the Tribunal, it is manifest on the face of the orders that the first appellate authority and the Tribunal have not committed any error of law, much less material irregularity in passing the said orders. The first appellate authority after appreciation of the oral and documentary evidence available on file, has recorded a finding of fact that, the additional evidence sought to be produced by the assessee was sent to the Assessing Officer for verification and report. In pursuance of the same, the Assessing Officer has submitted his report on February 21, 2007, after verification and confirmed the receipt of Rs. 61,16,256 during the financial years 1993-94 to 1999-2000 from sale of agricultural crops, but doubted the opening capital of Rs.57,69,872 shown by the assessee as on April 1, 1999, since the Hindu undivided family consists of 30 members. It is significant to note that the assessee is holding 60 acres of agricultural land, out of which, 27 acres are wet land, 14 acres of dry land and 19 acres of mango plantation and he has submitted his crop-wise gross yield in rupees before the Assessing Officer as acknowledged by him in paragraph 10 of his assessment order. The details were given in respect of the entire period from April 1, 1993 to March 31, 2000, i.e., for a period of seven years. However, the Assessing Officer on the basis of assumptions and presumptions has observed that, since there are 30 members in the family, they did not have any independent income and the agricultural income should be reduced by the drawings of the family. The said observation made by the Assessing Officer has been rejected by the first appellate authority at threshold after critical evaluation of the oral and documentary evidence and the same has been confirmed by the Tribunal. Both authorities after analysing the material available on file have recorded the concurrent finding of fact against the Revenue. In view of the concurrent finding of fact recorded by the first appellate authority and the Tribunal against the Revenue, we do not find any substantial questions of law made out by the appellants to be considered by this court, in view of the well settled law laid down by the Apex Court and this court in a host of judgments. Hence, the appeal filed by the appellants is liable to be dismissed as devoid of merit and accordingly, it is dismissed. 5. In view of the dismissal of the appeal, the substantial questions of law raised in this appeal is answered against the Revenue. This entry was posted in Section 69 and tagged 332 ITR, In favour of Assessee, Karnataka High Court, source of cash explained from agriculture income.